Dr Ailsa Cameron, Senior Lecturer in the Centre for Research in Health and Social Care and a Fellow of the NIHR School for Social Care Research, discusses findings from a recent project looking at how we can best support volunteers in social care settings. Encouraging people to volunteer in social care for older people has been a key part of practice in the sector for many years, but in recent times the significance of volunteering has grown, particularly in light of the funding cuts faced by the sector. We know volunteers can do a huge amount to enhance the care and support that older people receive. 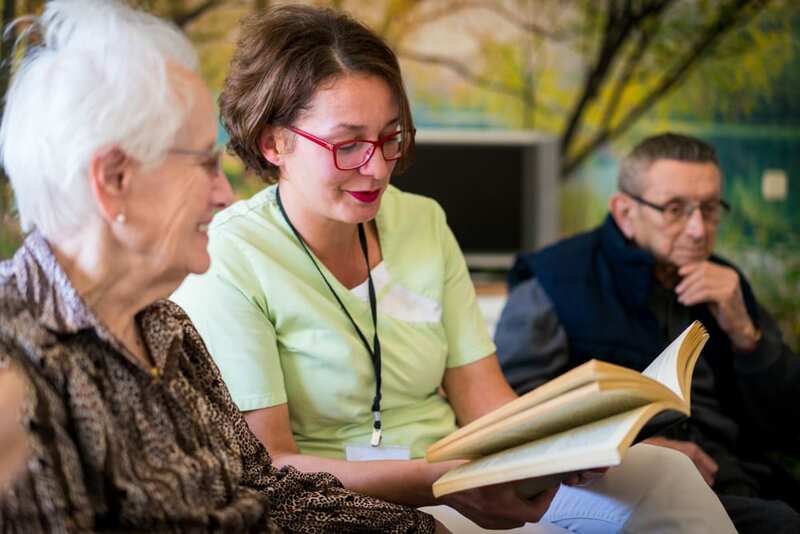 They can bring a new energy to settings and give older people an opportunity to develop meaningful relationships with people other than paid care workers. Volunteers can also do a lot to reduce the loneliness and isolation that many older people experience. There are also benefits for those who volunteer in social care themselves – opportunities to develop new skills, gain experience of different work contexts and enhance their own wellbeing, or just an opportunity to give something back. During our research on Exploring the Role of Volunteers in Social Care Settings (ERVIC), we heard about many settings where volunteers were making an important contribution to older people’s care and support. We learnt about volunteer-run exercise programmes and befriending services in residential care, organising and running lunch clubs, and volunteers giving extra support at day centres and visiting people recently discharged from hospital. However, reliance on volunteers to deliver care and support for older people brings new challenges to the sector. Volunteers are not a ‘free service’ – to be effective, they need training as well as ongoing support. This is particularly important given the vulnerability of many older people who receive social care services. Volunteers have much to offer, but they also need to be clear of the boundaries and limits of their role, and they need to know what to do if they have concerns about an older person. Several of the settings we visited told us they were struggling to recruit and retain volunteers. Changes to retirement law, as well as growing numbers of older people looking after grandchildren or caring for their partners or friends, means that fewer people have the time or flexibility needed to volunteer. On top of that, delays in DBS processes and burdensome training programmes were thought by volunteer coordinators and managers to put some people off of volunteering in the sector. On Thursday 21 March 2019, in partnership with Voscur, we will host a workshop at the Southville Centre to present our findings from the ERVIC project and exchange ideas about the challenges and opportunities associated with working with volunteers in social care settings for older people. This event is aimed at volunteer coordinators, commissioners of adult social care and providers and managers of social care organisations and will involve a Voscur-led workshop called Measuring the Value of Volunteering, plus discussions about how volunteers are contributing to social care, the challenges of involving volunteers and how best to work with volunteers. If you’re connected to social care, volunteering or services for older people, or you’re just curious and would like to find out more, we hope to see you at the Southville Centre next month. Book your place for the workshop. This entry was posted in Research in Health and Social Care, School for Policy Studies and tagged social care, volunteering, volunteers, voscur by policystudies. Bookmark the permalink.